Chronic Bad Breath; Know the Facts and Avoid It! ﻿Chronic Bad Breath; Know the Facts and Avoid It! 1.) The tongue has two parts: the posterior and the anterior. The posterior is the back part of your tongue while the anterior is the front most part. If you consistently have a white or yellow film in your tongue, especially on the posterior part, it is already an indication that you may be having bacteria of halitosis underway. Get a spoon, a good metal or silver one, and scrape that part of your tongue. Don’t mind the soft, white or yellow matter you get by doing so. It’s not the main thing or important thing, and if it smells so bad then you definitely have a bad breath. Another way is by licking your wrist and having it dry in about five seconds. Smell it and whatever it turns out to, that’s the way you smell to others. 2.) The mouth is not supposed to smell as well as tasting that bad. When you usually have that bad taste inside your mouth, you should know that it is the main indication of you having a very bad breath. 3.) Another way of knowing you have a bad breath is when people back away from you when you are talking. You should be aware of this simple situation as it only indicates that you are an undesirable talker because you foul the air. 4.) There are people that are more vocal or honest to the extent of telling you at front that you have a chronic bad breath. Some people, on the other hand, are less blunt and may just offer you candy or mint or chewing gum. 5.) Another very good indication that you are suffering in a chronic bad breath is when you don’t get friends or people don’t like talking or simply being with you. Growing socially is very important for everyone. This is why you have to treat your chronic bad breath immediately. But how do you do it? There are also very many ways on how you can have it prevented as well as treated. Some are listed below for your preferences. 1.) 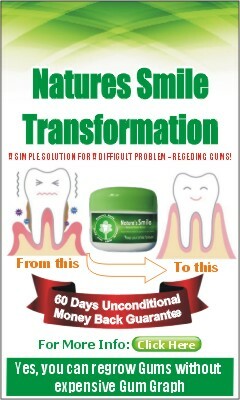 Improve your oral hygiene. The keyword is to do it properly and regularly. Don’t just simply brush it. Floss and use mouthwash for even better results. 2.) Drink plenty of fluids but this does not include coffee or alcohol as these drinks leave residues that may even cultivate your halitosis into severe condition. 3.) Eat fibrous foods as they are very good for your oral and overall health. 4.) Whenever you eat dairy foods, fish and meat, make sure you brush your teeth, tongue, and gums as these foods are very heavy on smell. 5.) Never finish your brushing habit without brushing your tongue with more attention on the back part as it is there where bacteria are thriving. Use these tips and you will surely make a life changing treatment to your chronic bad breath.